The Westboro Baptist Church decidied to pick a fight with Absolut Vodka over their support for the LGBT+ community, and they had the perfect reaction. News 10 October, 2018 . Written by Brian Dillon. Absolut Vodka decided to “turn hate into love” with the perfect response to Westboro Baptist Church on National Vodka Day. When the hate group tweeted at the Swedish vodka brand with images saying “God hates Pride” and “God hates drunks,” Absolut Vodka responded by unveiling their clever project supporting and celebrating the queer community who the Westboro Baptist Church love to attack with their notorious “God hates fags” slogan. 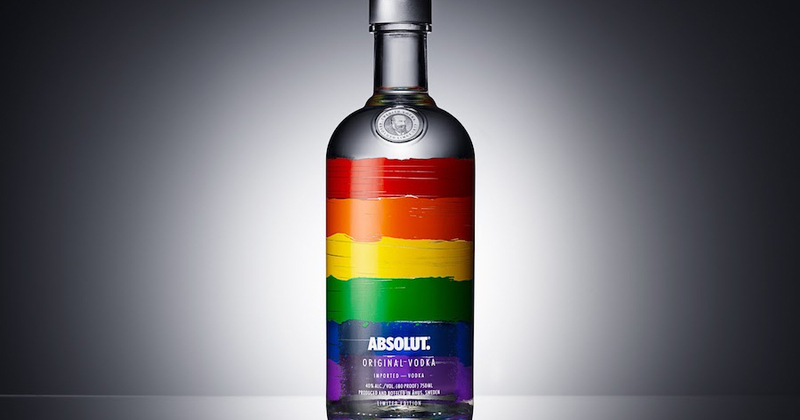 Absolut revealed that they had been attending rallies from hate groups just like the Westboro Baptist Church in a clever attempt to take their messages of racism, sexism, homophobia and hate into a message of support and love. The booze brand decided to attend these events and gather as many posters as they could. They attended rallies all over the world in countries like Australia, Germany, Bulgaria, The US and the UK. They then extracted ink from posters with messages that spread hate and fear, and used that exact ink to “spread a better message.” They used the ink for their limited edition bottle which has “love” written on it in 16 languages. Absolut managed to extract around 60 millimetres of ink while attending rallies between 2017 and 2018, resulting in the ink being used on three million of the limited edition bottles, known as Absolut Drop. The Westboro Baptist Church has always been known for spreading their messages of hate and fear towards minority groups, and have been described by the Southern Poverty Law Center, which monitors hate groups in the US, as “arguably the most obnoxious and rabid hate group”. 10 October, 2018 . Written by Brian Dillon.